​With the release of the new League of Legends Odyssey skins, many players have voiced their concerns that the game is releasing too many similar-themed skin lines. The new Odyssey skins ​went live Wednesday with Patch 8.18. 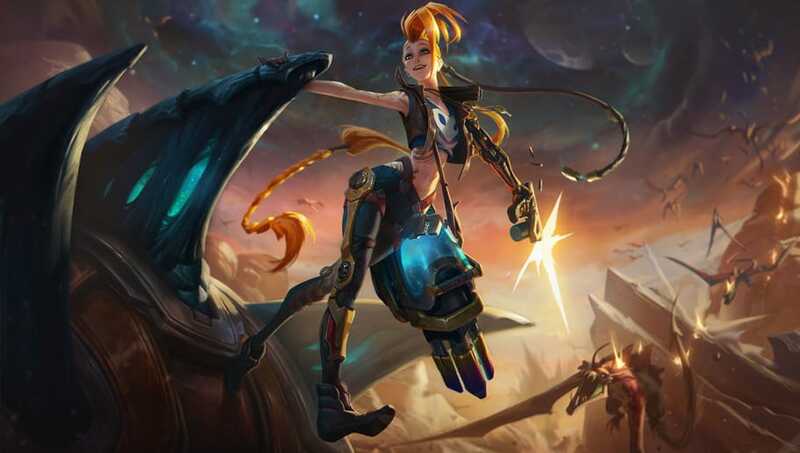 The futuristic skins include Jinx, Yasuo, Ziggs and Malphite as the crew traverses the open space aboard their ship, the Morning Star, fighting aliens and rescuing Sona from Kayn. With the release of this skin, this new theme adds to the long list of futuristic, robotic, or space-based skin lines including Cosmic, Pulsefire, Project, Program, Mecha, Battlecast, Super Galaxy, Dark Star, and Dreadnova. For those new to the game, it might not be readily available knowledge that skins exist in lore "universes," meaning certain skin lines are created to coincide with other skin lines. For example, the Project line (characters who are half-machine, half-human) is out to hunt characters from the Program line. Both of these lines include futuristic cyborg or android designed themes, but despite the similarities, many proponents of the current skin pool use these different universes to defend the skins' repetition. Despite these lore universes, it's undeniable that the futuristic sci-fi themes are becoming a bit overdone. Looking at the list of skins, technology, space, and demonic themed skins rank the highest in number, while others like Ocean, Gemstone and Wrestling haven't been touched in years. Even the High Noon skin line, which is supposed to be based around an old Western themed concept, incorporated new fiery and demonic elements into this year's releases with High Noon Thresh, Lucian, and Urgot. Many players expressed their concern that High Noon Lucian fell more in line with Nightbringer Yasuo. Previous High Noon skins stuck to the basic "cowboy/girl" theme with High Noon Jhin, Yasuo, and Cowgirl Miss Fortune. Now it seems as though this skin line has taken a turn for the futuristic theme. Although we got a few breaths of fresh air with the ​Pool Party and April Fool's Day skins, the majority of the skins released so far this year have catered to this repetitive sci-fi theme. Riot Games did release a few solo skins from non-futuristic skin lines like Mafia Braum, but these skins were outnumbered when more attention was given to releasing several champions from a specific futuristic skin line. While these heavily influenced sci-fi skins have yet to disappoint with their beautiful designs and closely detailed particle effects, it's tough not to wish for more ​League of Legends skins from lines like Elderwood and Dragon Trainer.